Chapel Field, starting at sundown, approximately 8:30pm. South Gate Park (between Potbelly’s and Chapel Field), starting at 6:30pm. 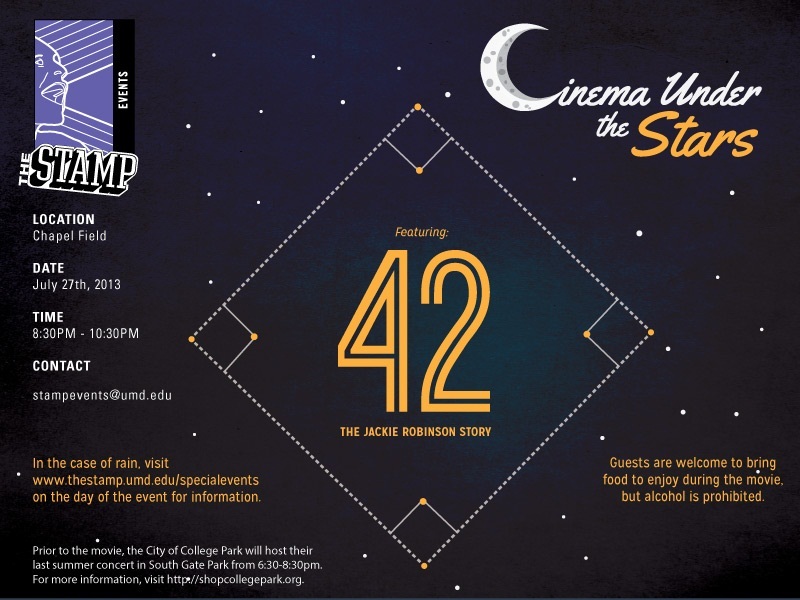 For more info, visit http://shopcollegepark.org/events/outdoor-movie-at-chapel-field/. Please feel free to share this with others you think might be interested! Aggressive driving has become a serious problem on our roadways, but what exactly is aggressive driving? The National Highway Traffic Safety Administration (NHTSA), after consulting with law enforcement and the judiciary, defines aggressive driving as "an individual commits a combination of moving traffic offenses so as to endanger other persons or property." NHTSA has released the following information on aggressive driving and ways to combat it. Please keep this information in mind as you travel and stay safe. • Express Frustration. Taking out your frustrations on your fellow motorists can lead to violence or a crash. • Fail to Pay Attention when Driving. Reading, eating, drinking or talking on the phone, can be a major cause of roadway crashes. • Tailgate. This is a major cause of crashes that can result in serious deaths or injuries. • Make Frequent Lane Changes. If you whip in and out of lanes to advance ahead, you can be a danger to other motorists. • Run Red Lights. Do not enter an intersection on a yellow light. Remember flashing red lights should be treated as a stop sign. • Speed. Going faster than the posted speed limit, being a “road racer” and going too fast for conditions are some examples of speeding. • Concentrate. Don’t allow yourself to become distracted by talking on your cellular phone, eating, drinking or putting on makeup. • Relax. Tune the radio to your favorite relaxing music. Music can calm your nerves and help you to enjoy your time in the car. • Drive the Posted Speed Limit. Fewer crashes occur when vehicles are travelling at or about the same speed. • Identify Alternate Routes. Try mapping out an alternate route. Even if it looks longer on paper, you may find it is less congested. • Use Public Transportation. Public transportation can give you some much-needed relief from life behind the wheel. • Just be Late. If all else fails, just be late. • Get Out of the Way. First and foremost make every attempt to get out of their way. • Put Your Pride Aside. Do not challenge them by speeding up or attempting to hold-your-own in your travel lane. • Avoid Eye Contact. Eye contact can sometimes enrage an aggressive driver. • Gestures. Ignore gestures and refuse to return them. For the third year in a row, the University of Maryland police department won the Maryland Law Enforcement Challenge (LEC) in the University Law Enforcement division. This award is given to departments across the nation for their dedication towards increasing safety through traffic enforcement. The LEC program is evaluated through traffic enforcement programs such as Click It or Ticket, Smooth Operator, and Checkpoint Strikeforce. The purposes of these initiatives are to increase traffic safety through educational and enforcement means and to deter negligent or aggressive behavior that could lead to a potentially dangerous traffic accident. Although UMPD participates fully in these initiatives, we strive for exemplary traffic enforcement day to day and make traffic safety a daily priority. 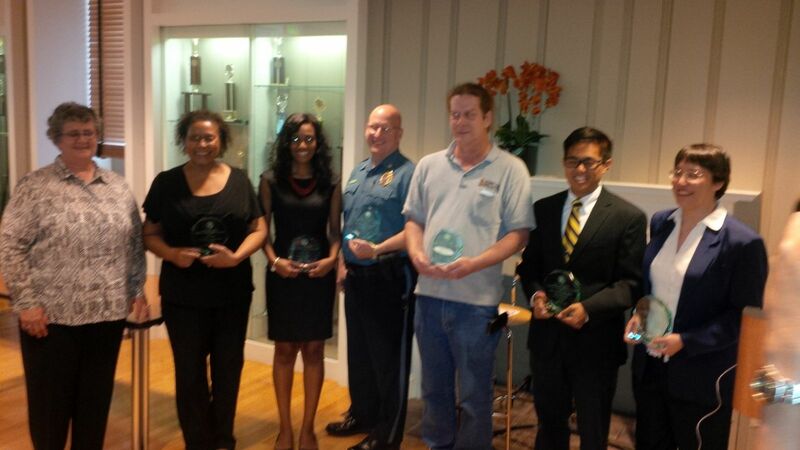 On May 16th, the University of Maryland Police Department was awarded the Outstanding Non-Instructional Unit Award from the President's Commission on Ethnic Minority Issues. This award is issued to a unit that makes outstanding contributions the the University's equity efforts. 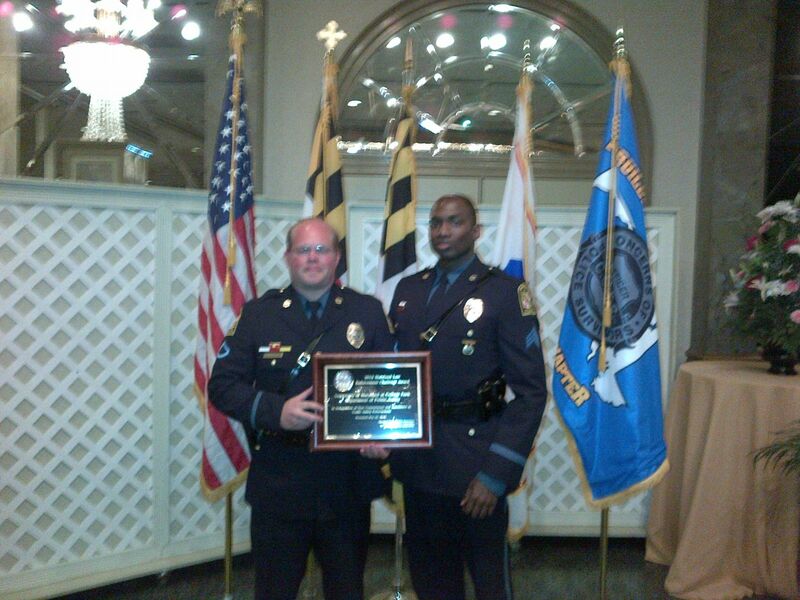 UMPD has always been dedicated to the recruitment and promotion of its quality minority employees. Additionally, the department makes it a top priority to address diversity issues with all officers in the academy and with continued training throughout their career. UMPD regards diversity as a critical issue and will continue to address it with the same fervor for many years to come. 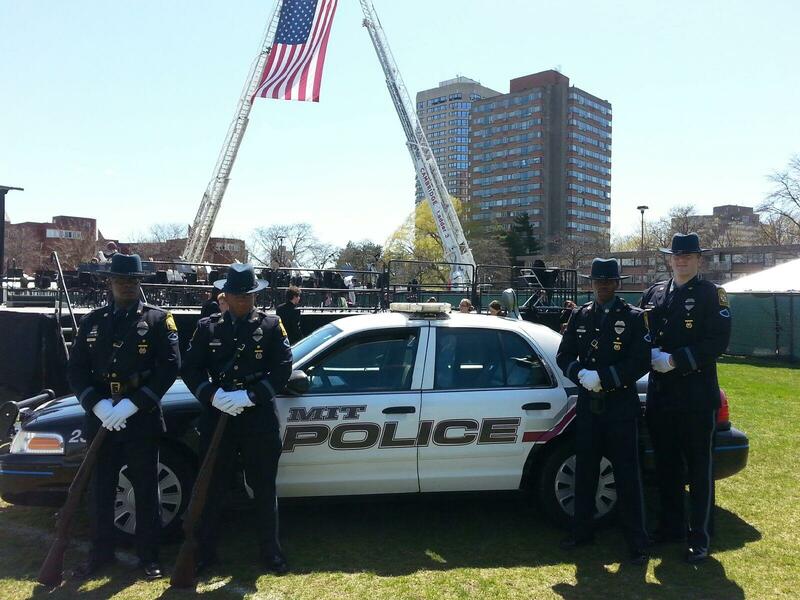 On 04/24/2013, the University of Maryland Honor Guard joined other departments in Boston, MA for a memorial service held in honor of Officer Sean Collier. Officer Collier, an officer with the MIT campus, was slain during the manhunt for the Boston Marathon Bombers. At the time of his death, Officer Collier was 27 years old and had worked for the department for 15 months. UMPD sends it's condolences and prayers to the family and friends of Officer Collier and his department.